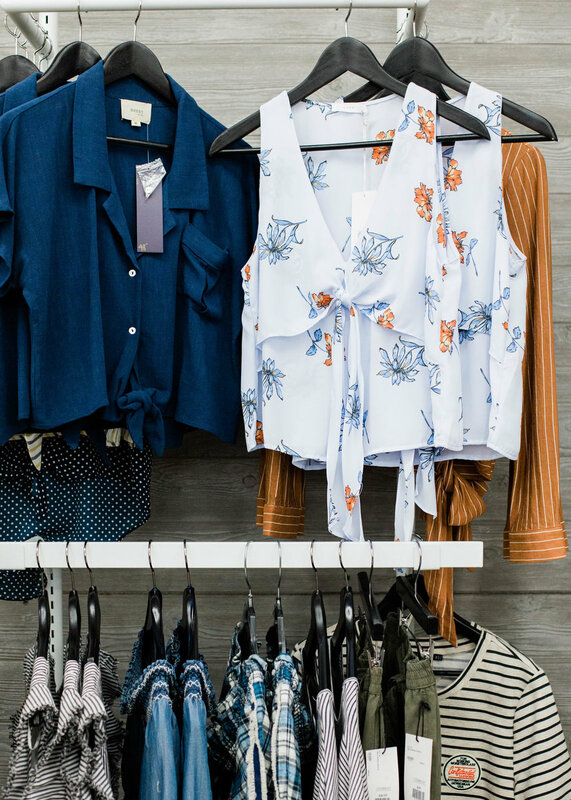 Shopping local just got a whole lot easier at The District Shops in Cherry Creek. There’s the former combat veteran needing an outlet. The student paying her way through college. 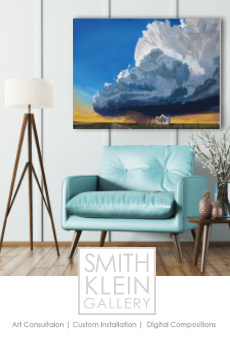 The mom-trepenuer building her own brand. 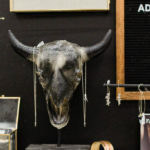 “Everyone” for The District means over 300 local makers and small businesses, selling everything from gourmet food to home decor, vintage finds to boutique clothing. 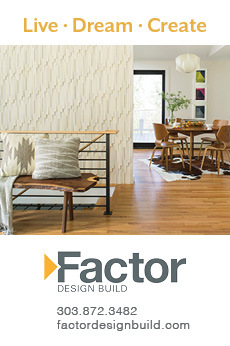 The District’s booths range in size from 20 to 600 square feet, and showcase makers, designers and curators alike. Indeed, supporting community is a passion of the District Shops. That attitude carries over into other areas, as well. 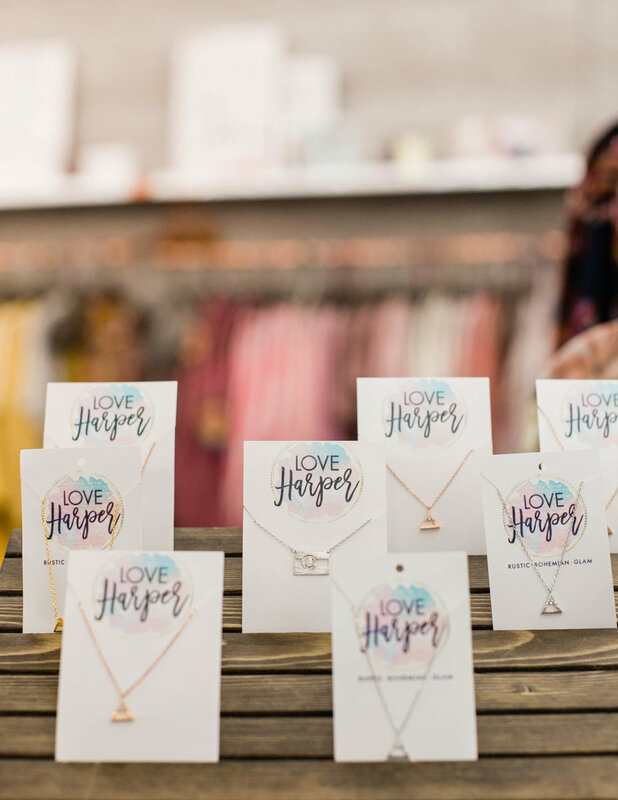 Every month, a different charity is selected for a Sip & Shop or special event — past charities include Free the Girls and Outreach Uganda — so not only can your dollars support local small business, but can have an impact around the Front Range and beyond. 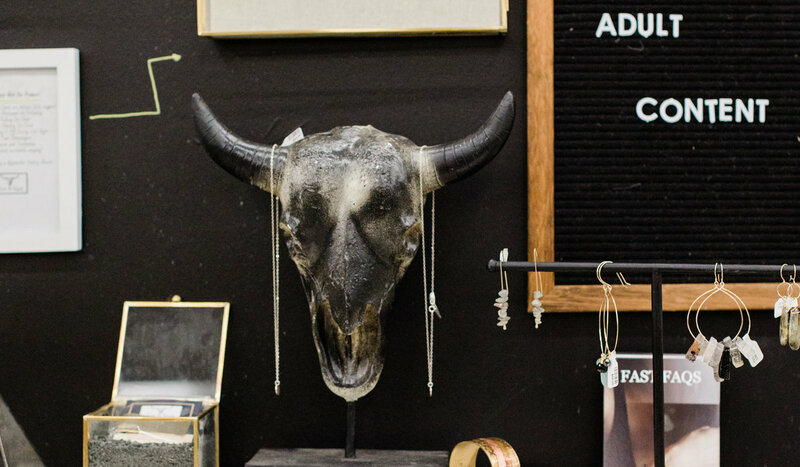 Let us introduce you to some of the makers you’ll find at The District. 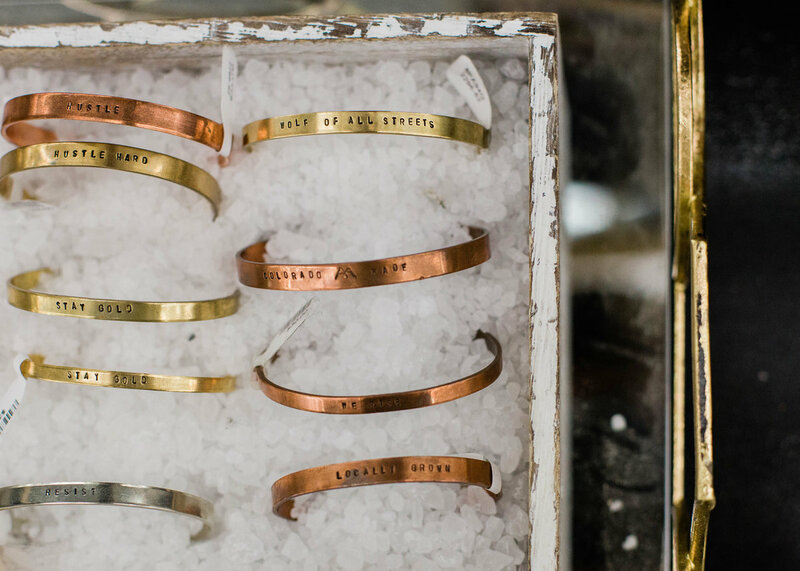 Lux & Luca is the creation of Cassie Herzog, formerly of steampunk jewelry brand Broken Revolt. 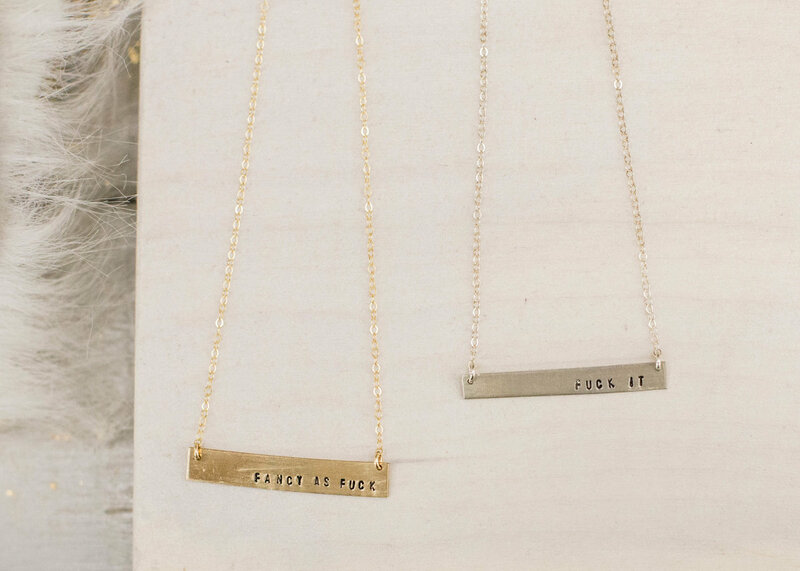 Herzog describes Lux & Luca as “lifestyle jewelry,” a collection of stamped and statement pieces that mix high-quality metals with bold, empowering messages. 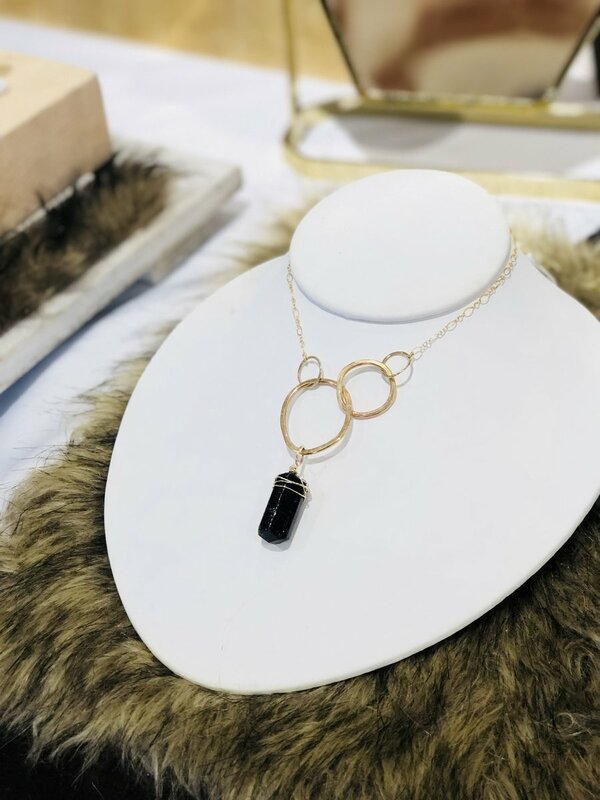 Mixing the delicate, feminine aspects of jewelry with in-your-face confidence and power is what the brand is all about. 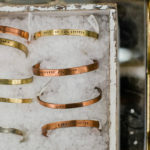 The brand’s timely messages of female empowerment are resonating with a lot of women, and one of the cast of Netflix’s Orange is the New Black has even been seen sporting one of Herzog’s cuffs. 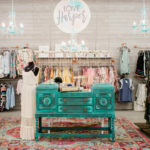 For anyone familiar with the large teal truck that is The Street Boutique, a mobile fashion shop often spotted at local Farmer’s Markets and watering holes; it might be surprising to discover that it now has its very own non-mobile location: The District Shops at Cherry Creek. Trees, a fashion merchandising major in college, took a detour through corporate America but always dreamed of working in the fashion industry again one day. 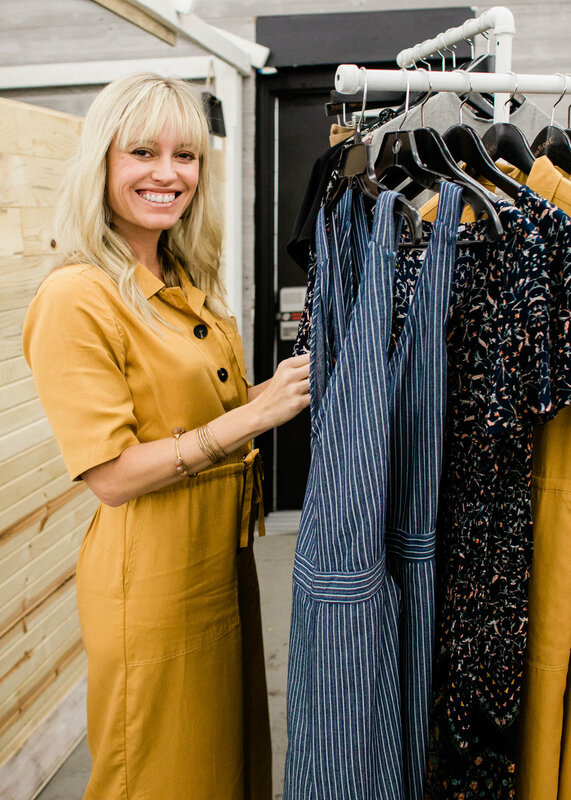 After stumbling upon the idea of a fashion truck, Trees felt the stars had aligned, and The Street Boutique was born just a few months later. 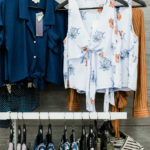 The boutique aims to provide curated fashion at a reasonable price point. 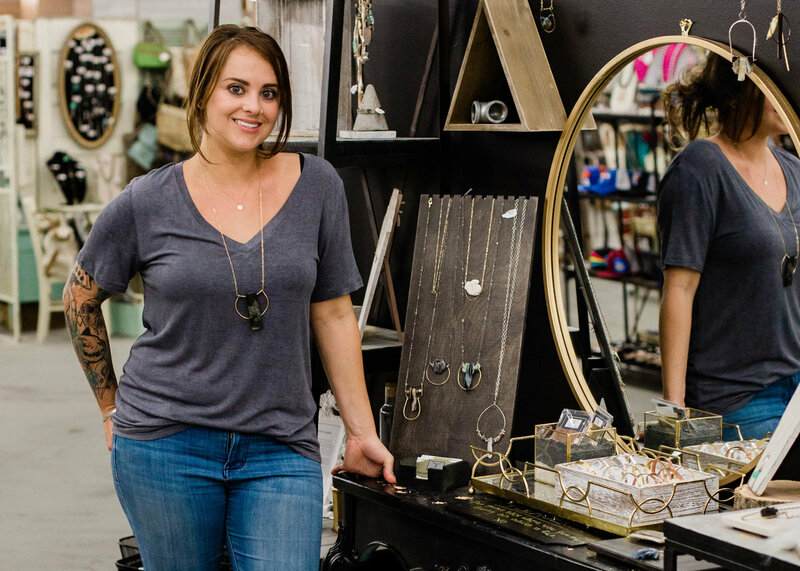 It all started for Jen Thyrion with a jewelry making venture in Vegas. 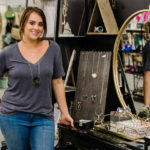 Then, a move to Colorado opened the door for her first shop in Castle Rock — and within a year she had a full-time business on her hands. 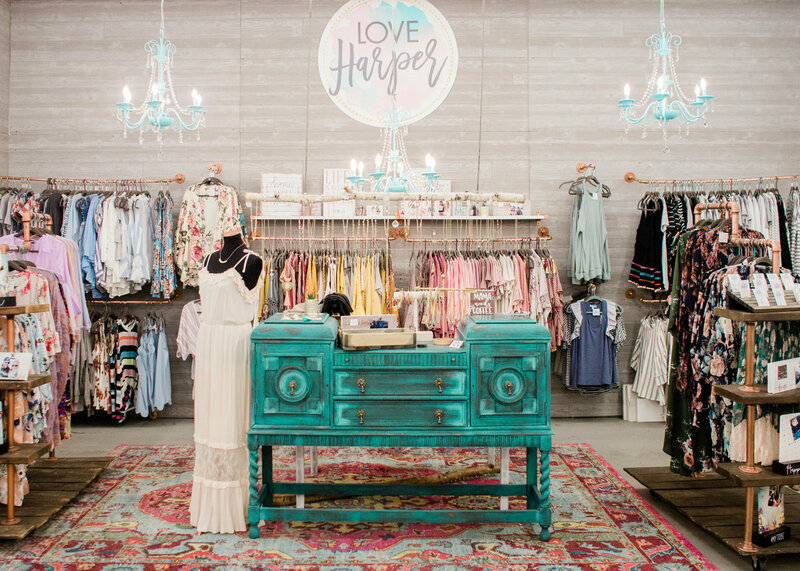 Now Love Harper at The District Shops is Thyrion’s fourth location, and one of the largest vendors there. 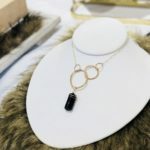 “I still sell jewelry, but along the way we kind of blossomed into a full-on boutique,” Thyrion shares. 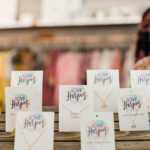 Today Love Harper carries clothing and accessories in addition to her original hand stamped jewelry, with hopes that shoppers can pair the two together to create a memorable and meaningful outfit. 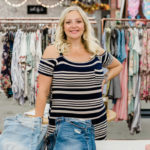 The boutique aims to carry clothing that appeals to a variety of body types and plans to start carrying plus sizes soon. 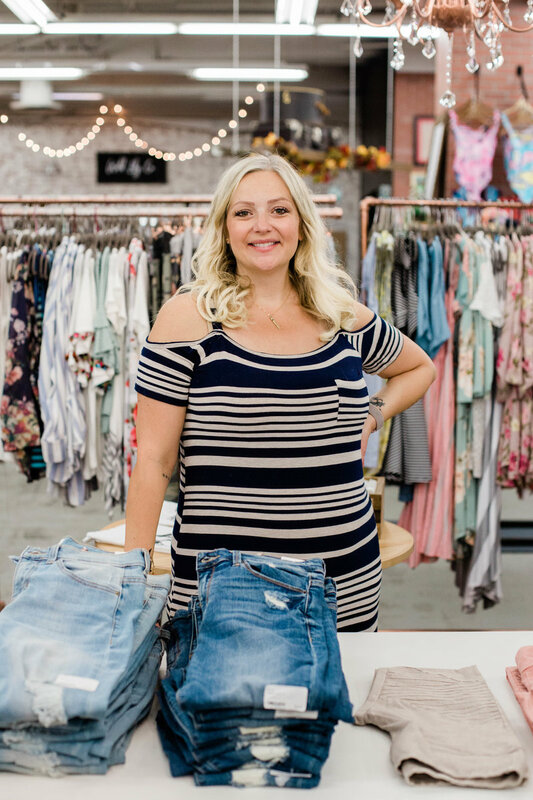 Thyrion, who is open about her past struggles with body image and self-love, wanted Love Harper to be a place where any woman can find clothing to make her feel beautiful and confident. That goal has become even more personal as she prepares to welcome her first child this year — a daughter.